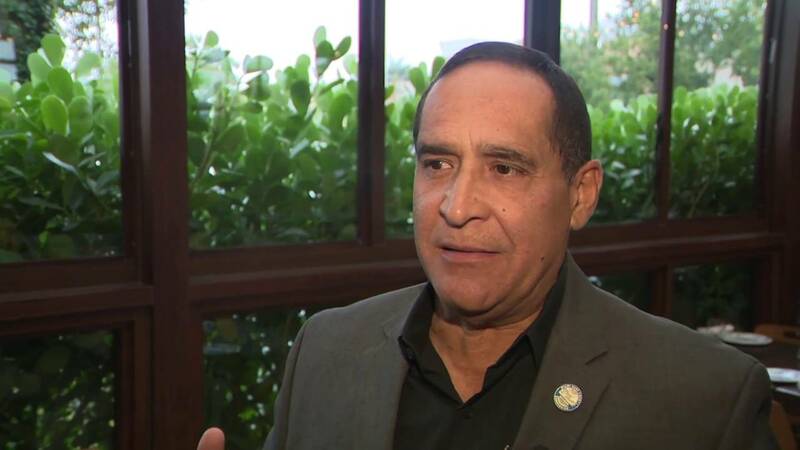 MIAMI-DADE COUNTY, Fla. - One man was arrested Wednesday after police said he posed as a police officer and attempted to pull over Miami-Dade County Commissioner Joe Martinez along Florida's Turnpike. Franklin Dixon-Lozano, 27, faces charges of falsely impersonating an officer and possession of a firearm while committing an offense. Another man -- who was a passenger in Dixon-Lozano's SUV -- was taken into custody, but he was not charged as of late Wednesday. Franklin Dixon-Lozano, 27, is accused of impersonating a police officer and trying to pull over Miami-Dade County Commissioner Joe Martinez. 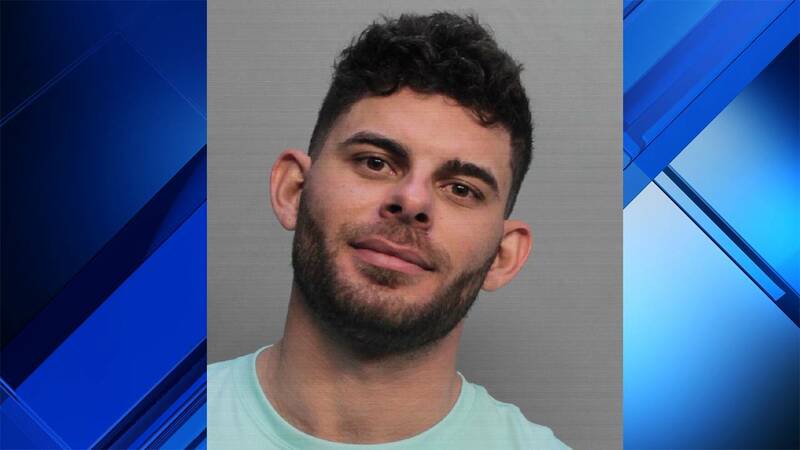 Martinez told Local 10 News that he was driving when lights began flashing on the grille of a late-model SUV that was behind him. According to Martinez, the SUV continued to follow him, switching lanes when he did. "I'm northbound on the Turnpike and then I notice that this old SUV -- Toyota 4Runner -- pulls up behind me, hits the flashing red lights he had in the middle of the grille. It looked weird because of the type of vehicle that it was," Martinez said. The commissioner, who used to be a police officer, said the men appeared to be trying to pull him over, but he didn't stop because the situation didn't feel right. "As a former police officer (of) 18 years and working undercover, you know, you kind of get a sense of what's going on," Martinez said. "I moved to the left lane, he followed me. I went to the center lane and to the right lane, and they followed me, too. It was an obvious attempt to try to get someone to stop for them." Martinez instead flagged down a Miami-Dade police officer and said, "This guy looks like he's trying to pull me over." He said the officer couldn't stop because he was transporting a prisoner, so the officer called for backup, and Dixon-Lozano and his passenger were taken into custody on the new LeJeune Road exit ramp in the eastbound lanes of the Dolphin Expressway. Police said Dixon-Lozano had a loaded Glock 26 in his waistband when he was taken into custody. A red strobe light in the front grille of his SUV and an activation switch routed to the glove compartment were removed and impounded as evidence, authorities said.